﻿Monches Fish & Game Club, In﻿c. We are a private hunt club, with over 160 acres of land for pheasants, deer and other game. Enjoy opportunities to harvest pheasants through club sponsored outings or through special hunts for individual members and their guests. In addition, members actively participate in helping manage our upland game, land management program. Want to spend a great time with family, friends, or fellow club members fishing. Our club offers opportunities to catch a variety of fish from numerous lakes located in SE Wisconsin as well as around the State. In addition, you will always have someone to fish with and tell that big fish story to. Enjoy hunting turkey and other game animals on our private club land as part of a group or through individual hunts. Here you can enjoy the camaraderie of fellow members offered only through our great outdoors. You can also help in supporting our programs by participating in our land management programs. 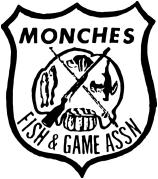 ﻿Monches Fish & Game Association, Inc.